beautiful old town rebuilt in 1480 after having been destroyed in 1478. I love the different coloured houses! The church in Arucas is often referred to as the "Catedral de Arucas", but it's in fact not a cathedral, nor is it a basilica. But the church looks like a cathedral, it is so majestic and beautiful, and so unlike other typical churches and cathedrals in Gran Canaria. It definitely gives this town a little extra in my opinion. The church is called Iglesia Matriz de San Juan Bautista and dates to 1909.
where Doramas, the Guanche leader, was killed in 1481 in the Battle of Arucas. Since the 15th century, the main crop of the area has been the sugar cane. According to Wikipedia, the sugar cane was produced in Gran Canaria long before sugar plantations were cultivated in Cuba! 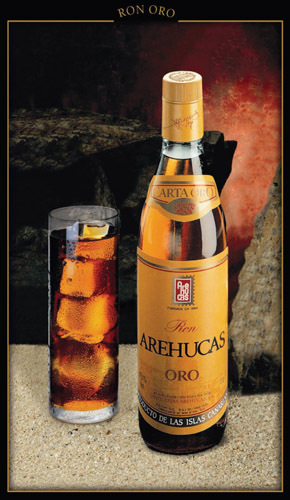 Gran Canarias famous rum-factory Arehucas is located in Arucas. It opened in 1884 and has the best selling rums of the Canary Islands for over 50 years. You can visit the factory and taste their famous rum. honey rum, is a great souvenir or gift to take home. A little map to show you where Arucas is on the island. 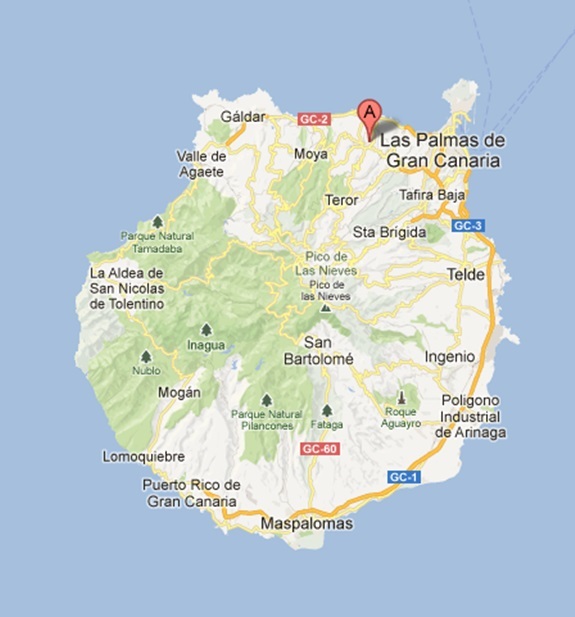 It's just about 15-20 minutes from Las Palmas by car. Arucas is the perfect day-trip destination! What a beautiful town! The spires on the church remind me of Segrada Familia. Not really, but kind of a little? And the banana trees...so cool! Talk about a piece of eye candy. This was wonderful. Charming. Idyllic. Oh my goodness! Your pictures are amazing. Those different coloured houses are absolutely SPECTACULAR! Thank you Deidre! I agree, it's beautiful! Tusen takk for turen :) Fantastiske bilder du viser oss! Ron miel med litt krem og kanel er nam nam! Bare hyggelig :) Hm! Ron miel med krem og kanel! Må kanskje prøves? Words loose their value trying to describe such beauty. I am in love with this island :) So many treasures here and there, love finding them!